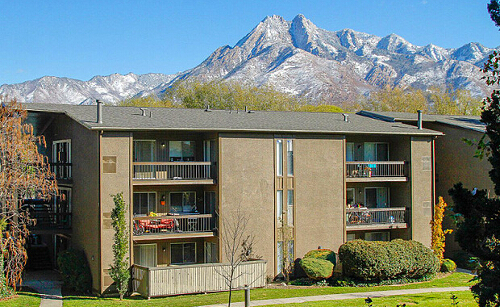 The Preserve is a multi-unit Condominium complex located in downtown Salt Lake City, Utah. The roof is about four stories in the air and the grounds are landscaped. Several of these roofs are about 60 feet away from pavement. The ground slopes significantly from one side of the project to the other, causing the roofs to have multiple levels. 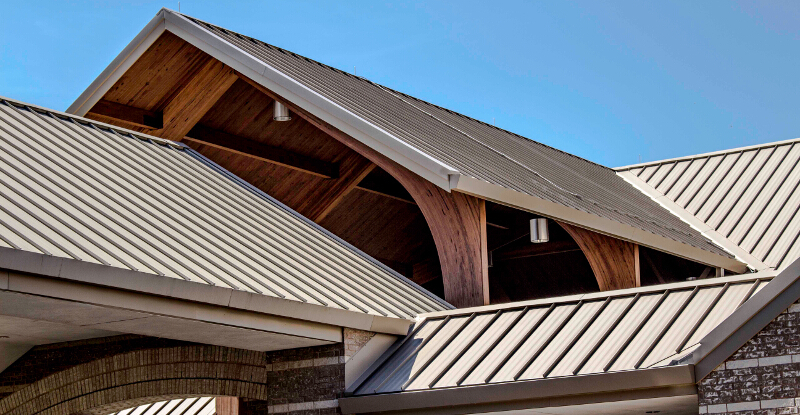 When the lower roofs attach to a building that is taller, we have to deal with vinyl siding on the walls of the taller building. 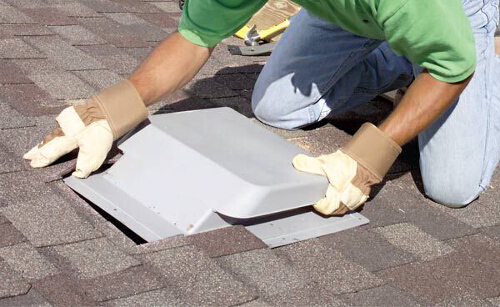 It is important that we install the correct flashing at the joint to ensure the roofing is water tight. Also, this complex also has the condenser units for the Air Conditioning on large curbs on the roof. Behind these curbs are crickets to divert the water around the curbs which crickets are covered with a single ply roof membrane. Logistically it presented challenges of removing and disposing of the debris in addition to loading the new materials. The specifications followed on this roof are to furnish and place dump truck in driveway as close to roof eaves as possible, place tarps on ground around perimeter of building being worked on and removal and disposal of 1 layer of 130000 sq. 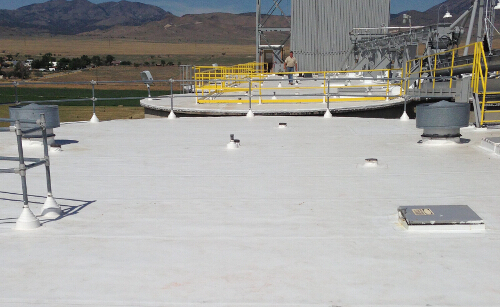 ft of existing roofing. We removed tarps and all debris from ground, did a magnetic sweep of nails on ground and cleaned out roof gutters. The Pitch was 4/12. we inspect the revealed plywood surface. Plywood deck replacement if needed is additional to price quoted as we cannot tell before we remove the roofing the condition of the plywood. Obviously, authorization from the owner is required prior to replacement. 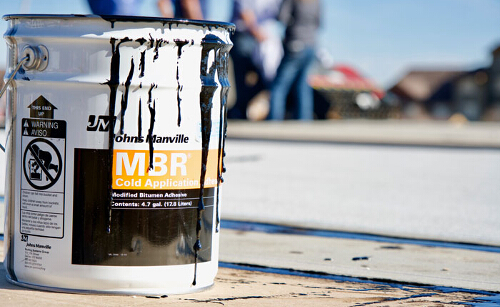 when we have roof leaks or a build up of heat in the attic space. Water leaks tend to cause deterioration in localized areas as they rot the wood at the location of the leak. 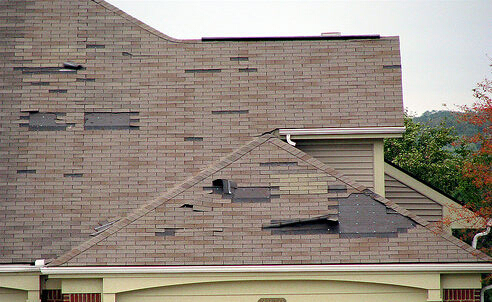 Heat build up tends to cause plywood de-lamination over a wide area on the roof. Once plywood de-laminates we have a dangerous collection of thin pieces of wood that have separated. 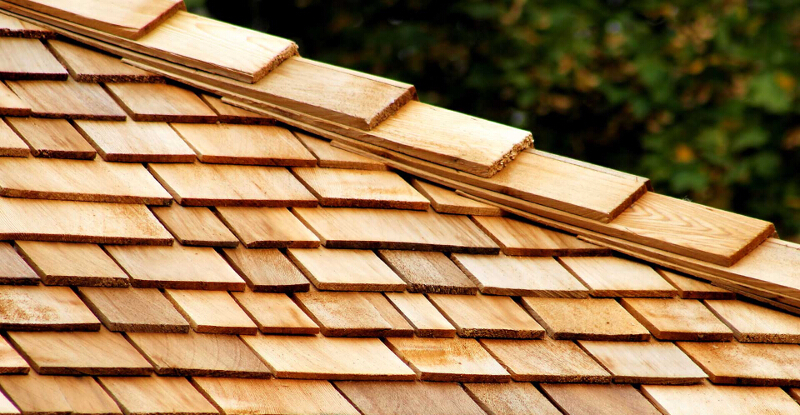 Plywood derives it’s strength from being glued together and that glue becomes brittle and fails with the excess heat. At this point our best solution is to add a layer of wafer board over the existing plywood to strengthen the decking prior to new roof installation. 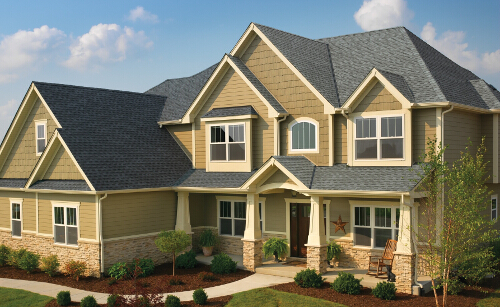 We install 90 degree color-clad drip edge around perimeter. 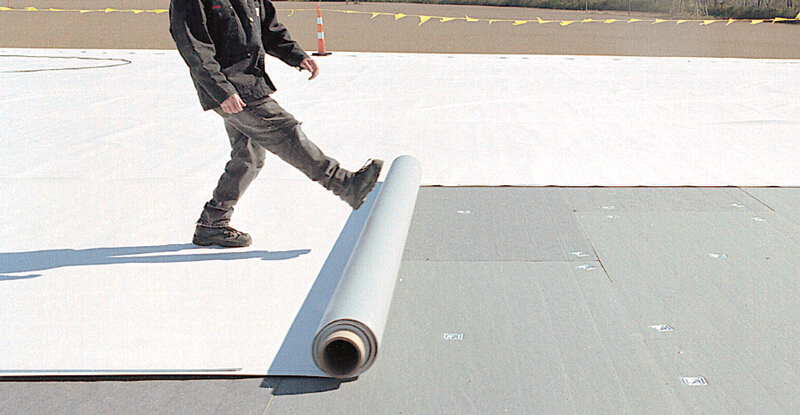 Ice and water shield is then installed on eaves up 6 feet (2 courses) and a 40″ wide roll installed in valleys. 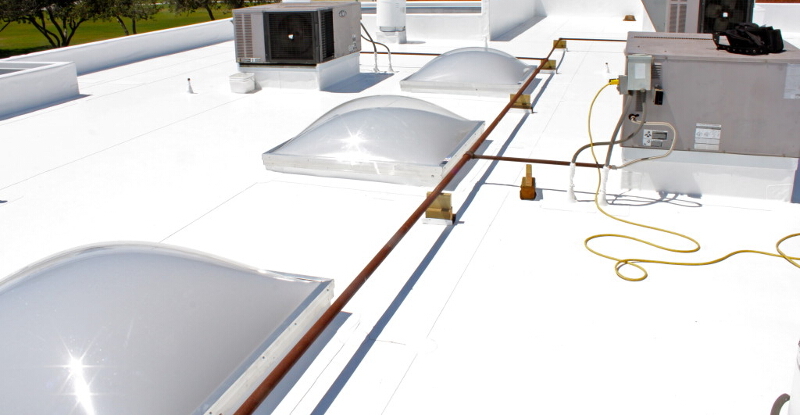 We also installed ice and water shield around vent pipe flashings, chimneys and furnace pipe flashings. On this project, we had Ice and water shield turned up against wall on side and end wall areas. 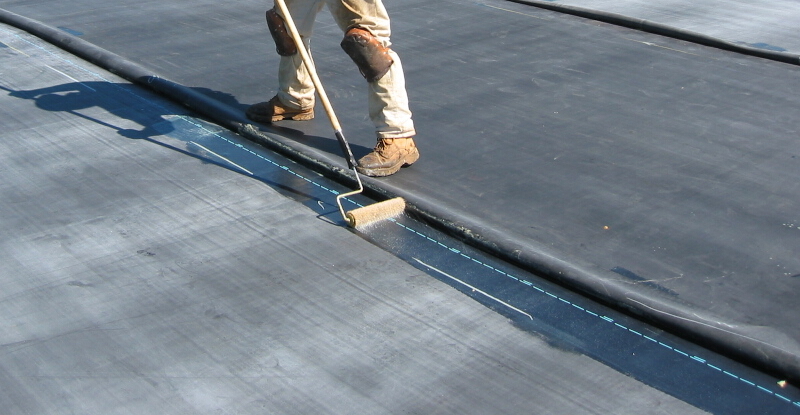 We installed Diamond Deck synthetic under-layment over rest of roof area covering remaining exposed plywood. 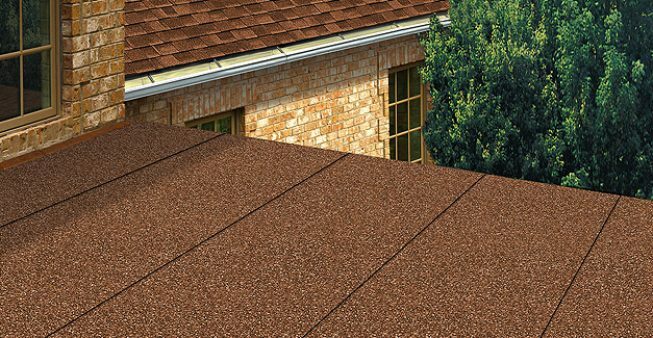 Starter shingles were installed on eaves. 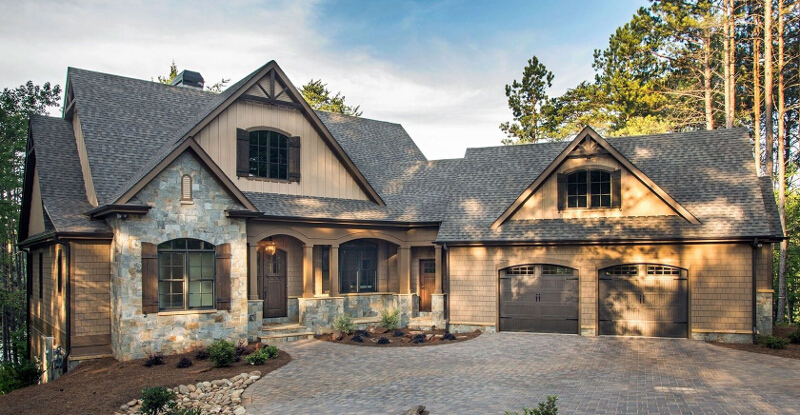 Certainteed Landmark architectural shingles were installed using six nails per shingle. The nails used to secure area 1/4 inches in length. 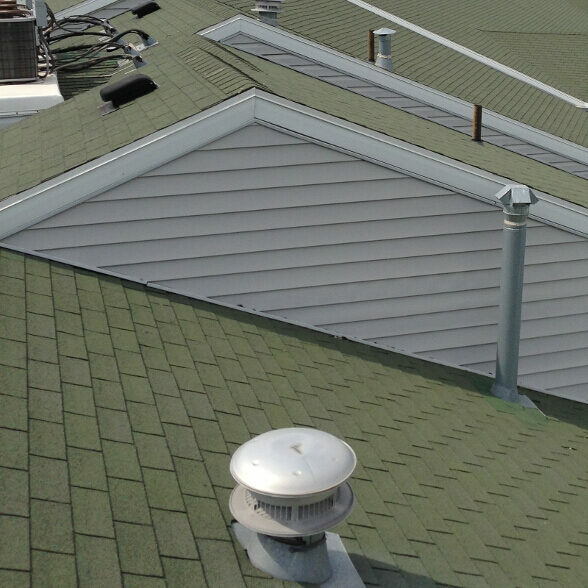 New step shingles and end wall flashings were installed at locations as required. 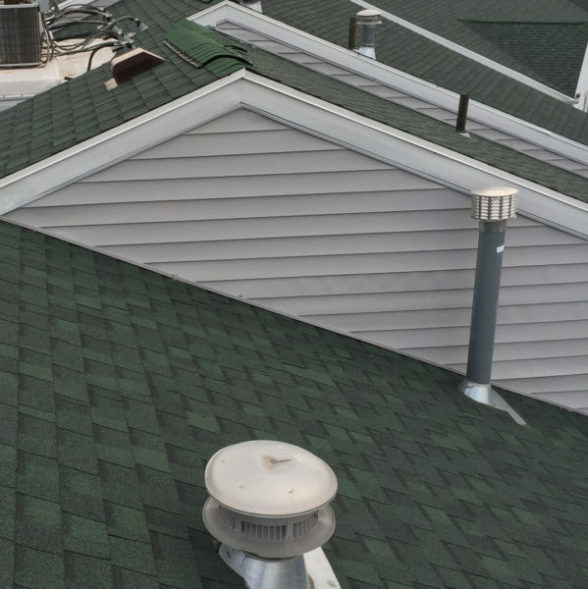 This roof has a lot of Vent pipe flashings. 27 two inch, 39 four inch Vent pipes were flashed with no-caulk jacks. Two 4 inch, 9 six inch and 26 eight inch Furnace pipes were flashed with galvanized flashings. 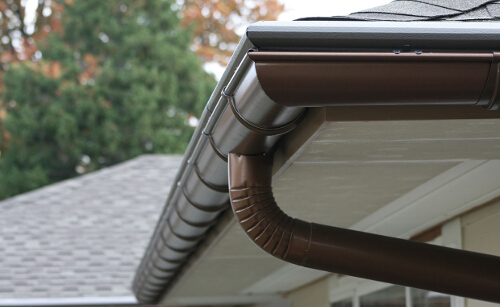 All vent pipes are painted to compliment roof color. 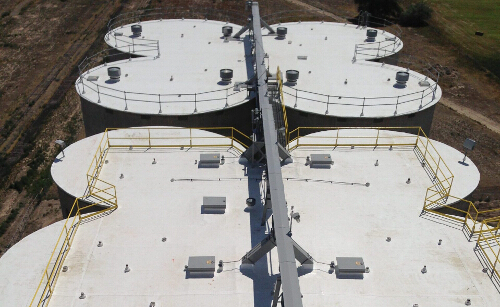 Roofing was tied into roof access hatches and stands built for 123 Air Conditioner units. 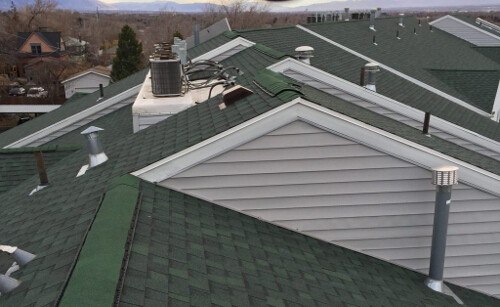 We installed 180 Turtle vents and 2400 feet of Starter shingles and Hip and ridge shingles installed. This was a fun project for us. 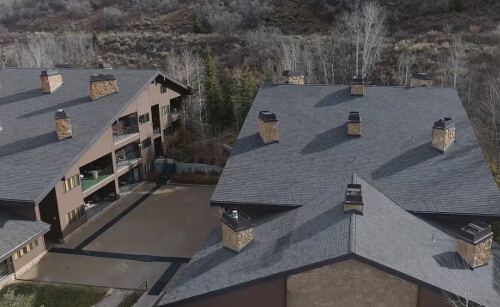 We enjoyed the challenge of dealing with this project, ensuring that the roof was water tight as storms came in over the 3 month time frame it took to complete this project.